President Trump’s Budget Director (and also the head of the Consumer Financial Protection Bureau), Mick Mulvaney, told Congress that a military parade would come with an eye-popping price tag. Rep. Barbara Lee (D-CA) asked Mulvaney about the parade in a recent congressional hearing, and while she meant it as a trap to accuse the Trump administration of being authoritarian, Mulvaney ignored her condescension and stuck to the facts. Mulvaney told Congress that the parade could cost somewhere between $10 million and $30 million. Barbara Lee (D-CA): And, secondly, I want to ask you about this military parade that the president’s proposing — you know, the parade that is very similar to those held in authoritarian countries, like in North Korea. How much is that parade going to cost? And where is that money coming from? Mick Mulvaney: Thank you, Congresswoman. I’ll answer the second question first. 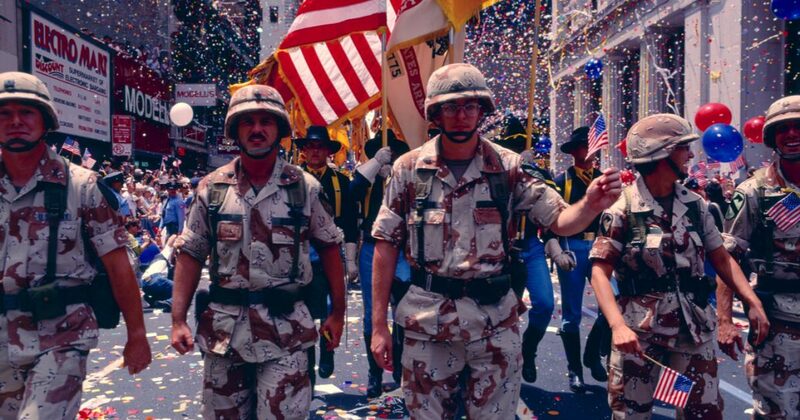 We actually had military parades in this — in this country before. I think we had one recently — as recently as the 1990s, or maybe more recently than that. I’ve seen various different cost estimates, from between — I think $10 million and $30 million, depending on the size of the parade, the scope of it and the length of it, those types of things. We’ve not accounted for it in this year’s budget, simply because it’s come up at the last minute. So we’d continue to work with you folks if we decide to push forward with that initiative. Barbara Lee: Now — if who decides to push forward? You mean the president? Mick Mulvaney: Yes, ma’am, that’s who I work for. Mick Mulvaney: “We” being the administration. I’m sorry. But, of course, you’d have to appropriate funds for it. We have to find funds for it that you’ve already appropriated. Barbara Lee: That would be — estimate — $10 million to $11 million?